During the PokerStars Spring Championship of Online Poker last May, Jorryt ‘TheCleaner11’ van Hoof final tabled the $10,000 Six Max Pot Limit Omaha High Roller event, only to finish fifth as Ole Schemion went on to victory. 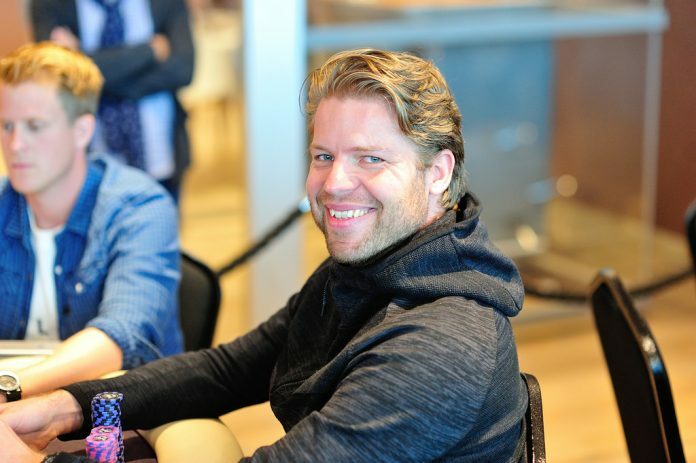 On Thursday night though, van Hoof changed the narrative and came out on top of the World Championship of Online Poker $25,000 PLO High Roller beating some familiar faces along the way. The win earned van Hoof $465,559.91 while ‘danfiu’, who finished one spot better than van Hoof in the SCOOP, took home $308,357.94 for finishing as runner-up. ‘WRUUUUM’ scored $204,237.15 for finishing third. The final table also included Sami ‘LrsLzk’ Kelopuro and Joao ‘IneedMassari’ Simao. A pair of Finnish players picked up wins in the Medium and Low versions of the same event. Olli ‘Era_Koira’ Ikonen beat out 414 other players to win $150,420.25 in Event #16 Medium ($2,100 Six Pot Limit Omaha High Roller) while ‘miikka84‘ won $44,563.45 for winning Event #16 Low ($215 Six Pot Limit Omaha High Roller). Ikonen’s WCOOP win came 24 hours after he won a partypoker POWERFEST title. Laszlo ‘omaha4rollz’ Bujtas beat Diogo ‘phounderAA’ Veiga in the final of Event #17 High ($2,100 Heads-Up No Limit Hold’em) to collect $76,800 and his second career WCOOP title. Veiga pocketed $46,080 for second place. ‘KingRakker’ won the Medium buy-in event for $23,622.36 while ‘andredos’ pocketed $8,212.49 for winning the Low. Norway’s ‘Senkel92’ won Event #20 High (No Limit Five Card Draw) and took home $17,100.